Paladin heads for Spain! For now, he remains in showtraining, to start a career in breeding later. 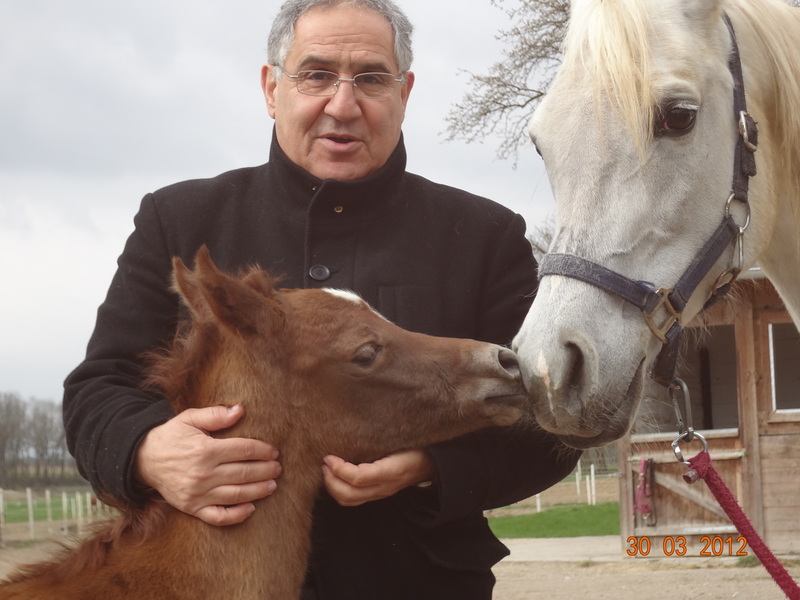 Dear Ziad, best wishes for your next Champion in the arena and in the breeding barn! Perikles is looking forward to a bright future in long distance riding! For the time being, he is allowed to enjoy his life on our huge pastures with his friends. Dear Doris, we wish you much joy and success! Saona has arrived at her new home. Dear Elie, we send our best wishes to both of you! Warrior goes to Bavaria - dear Jenny, we wish you lots of fun with this great guy! We congratulate the renowned studfarm Rainbow Arabians to the purchase of beautiful double Junior Gold Championesse La Joya! Poker and Wafaa are leaving for the Middle East. Congratulation to the new owners! TM Lea is sold to Saudi - Arabia, our congratulations to her new owner! Our special darling Werona is sold to Germany. We wish the new owners best of luck and hope for a Top - Foal 2016! Palladio goes to Germany - we wish his new owner every success with this lovely genuine horse!